These cases are NOT empty. Now, most of this stuff commands prices that are worth the time for Goodwill to put in an online auction, so you won’t see this stuff on the floor if you walk-in. It’s in the back, behind the job training center. For a gear collector, stumbling around back here is a mind-blowing mixed bag. All of the stuff in these photos is in a running eBay auction, so one quickly jumps from feeling like a kid in a candy store to a kid in a candy store who just had his jaw wired shut and can’t eat anything—least of all, candy. 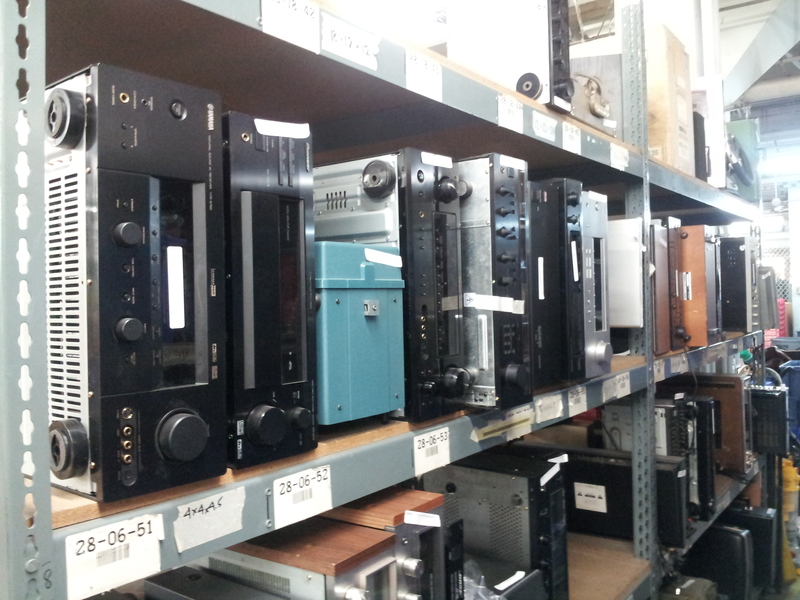 Note killer ghetto blaster far right. How many D-cells fit in that bad boy? One then comes face-to-face with the frustrating realization that all this awesome/junky stuff was given away for free (ok, maybe for a tax credit) by people who aren’t likely into music and have no idea what it’s worth. 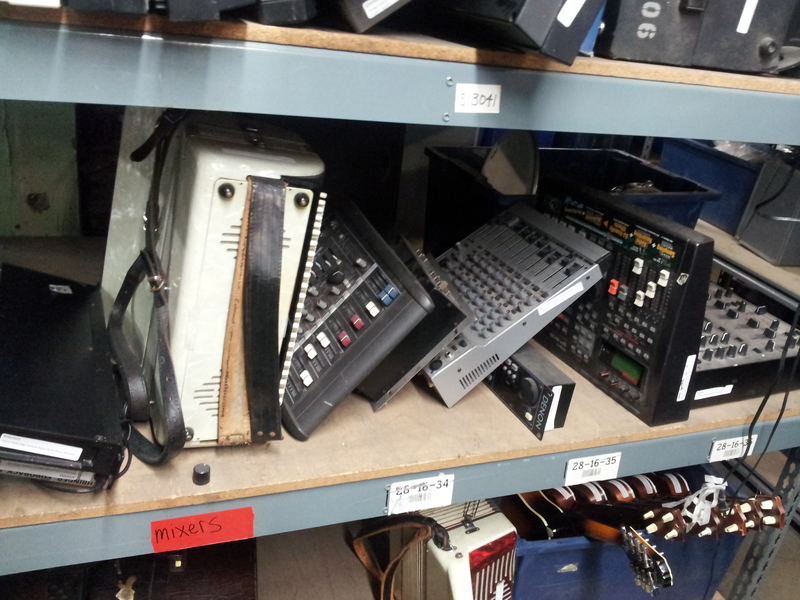 …and thus, a Roland Jupiter 8 winds up on these shelves. I’ve seen it. 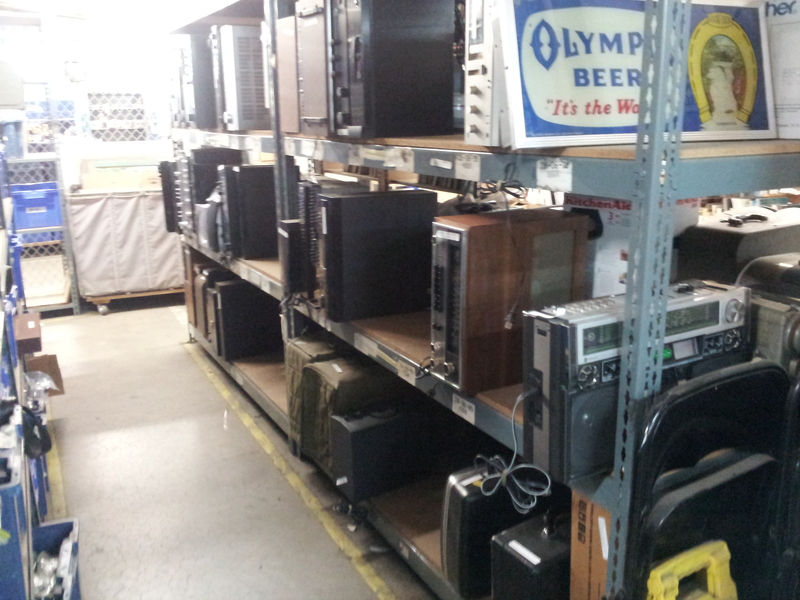 Sure, there’s a lot of crappy Peavey practice amps back there, and wore-out behringer mixers, and a dozen Radio Shack and off-brand 2-channel DJ Mixers… but there’s also some cool quadraphonic hi-fi stuff, some Mackie mixers, studio monitors, you name it. And boo-koo cheap guitars. There are enough instruments at Seattle Goodwill to warrant category labels on the shelves. All the dudes who work back there are super nice, too. I asked if they get first dibs and the response was a blue “no, never,” delivered with a gaze at the floor and a wistful shake-of-the-head. 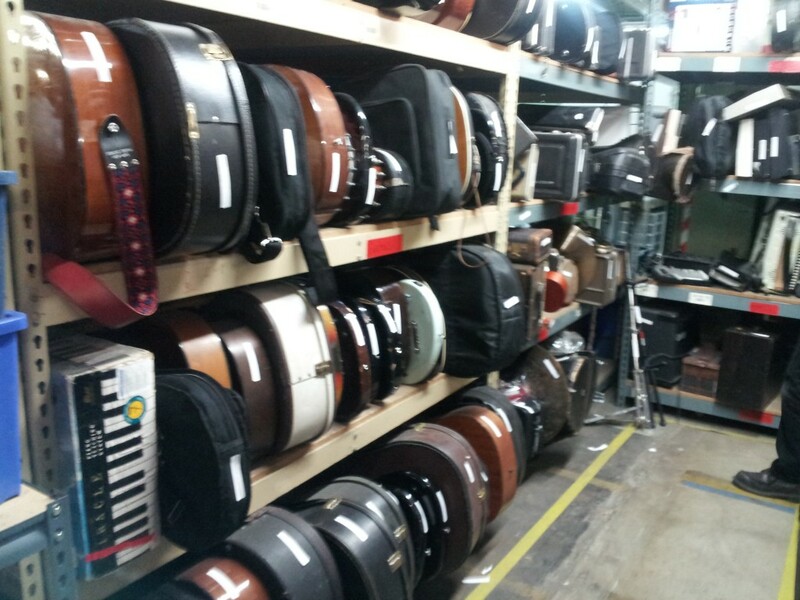 Here’s Seattle Goodwill’s eBay page for Musical Instruments for you to cry at. 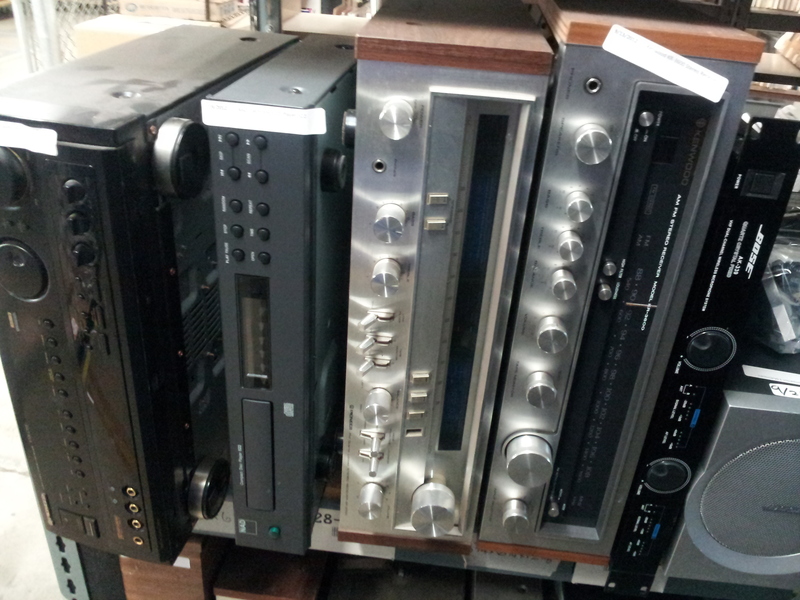 This entry was posted in Gear Scores and tagged gear scores, Goodwill, music gear on October 8, 2012 by Bellsauce.